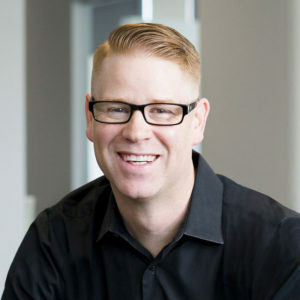 Damon Andersen helps business leaders build a brand that energizes staff, turns employees into advocates and connects with customers. Ask them to define what a brand is. If their response is “a brand is a logo, marketing materials or a website,” you need to continue your search, i.e. turn around and run…fast! Although these are all very important elements of a brand, they do not define a brand itself. Your brand is your reputation in the marketplace. It is how your audience perceives your company, not how you perceive it. It is much more involved than a logo or a color scheme. Make sure they have a proven branding process that has helped past clients go from point A to Z successfully. Make sure they can articulate their process effectively. You want a branding partner with unique experience that can deliver on both brand strategy and design at an equally high level. What is their brand saying to you? First thing they talk about is themselves instead of having language that centers around strategy, process and results for their clients. There is a lack of client testimonials or their existing testimonials are vague instead of stating how they’ve helped grow their clients’ business or saved them time. They highlight photos of a hip and cool creative office space. Great, if you need an interior decorator, however it has no bearing on if they can carry out a long-term branding process to help move your brand forward. If any the above items are apparent, you may not be a long-term priority to your new branding partner, no matter how good they look on paper. Don’t be fooled by branding imposters. There are a lot of creative professionals and non-creatives alike that throw the word “branding” around loosely when describing their service offerings. Make sure you are working with a true branding expert, not just a creative individual or firm that claims they do branding. It’s easy to find a freelancer who will gladly whip up a trendy logo for you on the cheap; however, finding a true branding specialist who can implement a structured branding strategy for your organization can be a much tougher task. research and trust your gut…and this checklist! Questions? Contact Damon at 602.695.1305 or damon@damonandersen.com. For more information, visit www.damonandersen.com. Damon Andersen is a branding expert located in Phoenix, Arizona. Damon helps decision makers build a leadership brand that energizes sales staff, turns employees into brand advocates and connects with customers on an emotional level. For over twenty years, Damon has helped 100+ companies and organizations with a results focused, strategy-first approach. Damon’s 12-Step Branding Process is ideally suited for companies who have the desire to raise the bar within their category and have their brand clearly defined so that it absolutely resonates with their target audience.